Happy St. Patrick's Day everyone! You know me, I had to be festive today and post on a green item. I don't want to get pinched! Hope you're all having a fun and safe holiday. 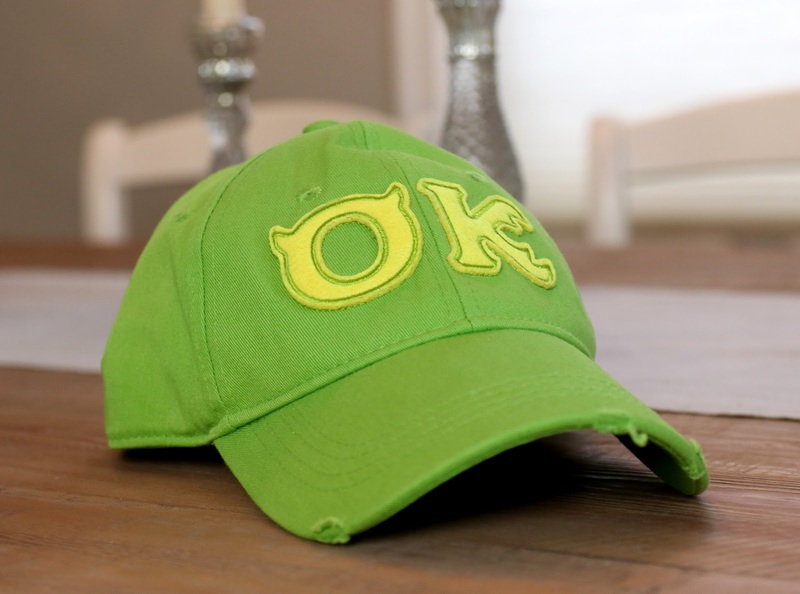 Inspired by Mike Wazowski's Oozma Kappa ("OK") hat seen in Monsters University, check out this new baseball cap available right now at Disney Parks and ShopDisney.com! This was released back in mid January along with a Python Nu Kappa hat (PNK) for women (which I'll also be reviewing here soon, so stay tuned). I love Monsters U and the products inspired by the film. I literally wear my MU cap (the one released in 2013, see my post HERE) at one point or another almost every day. It's so cool to finally have a new hat to mix it up now and then! And you know I love when certain animated props from Pixar's films become a reality. I was thrilled when my parents picked it up for me during their most recent trip to WDW! A big thanks to them. I like my hats with some distress and a nicely curved brim, so I really dig that this one has both. It fits and feels great (and I'm picky when it comes to hats)! 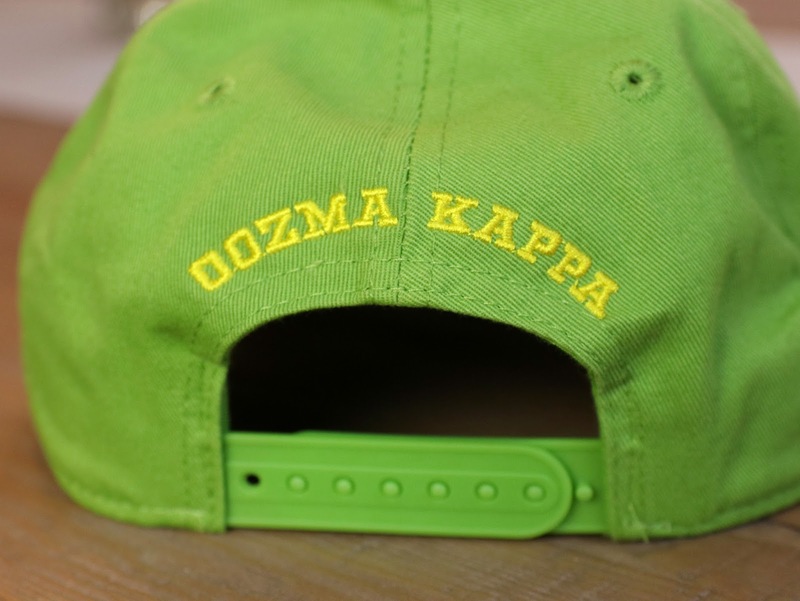 The front OK letters are felt and "Oozma Kappa" is embroidered on the back. 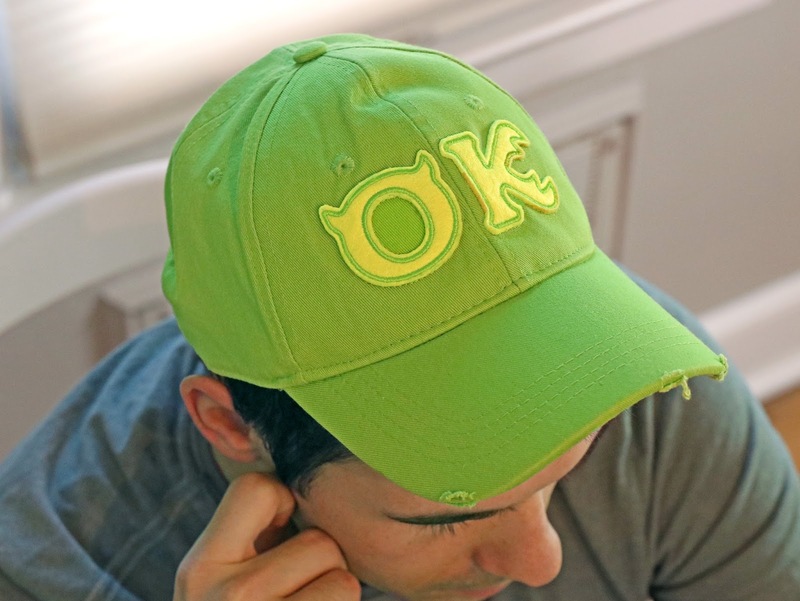 The hat is fully adjustable to fit most, if not all, adults. 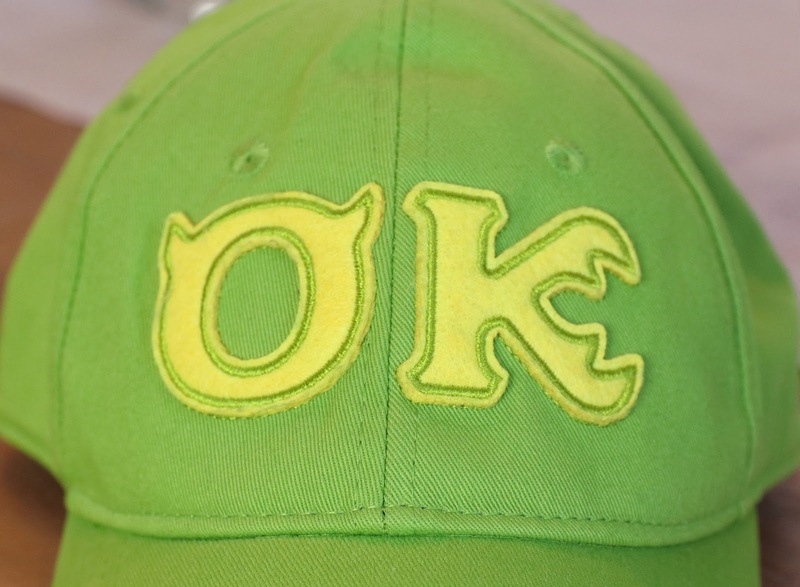 If you're a Disney nerd with heart and want to show off your Oozma Kappa pride, be sure to pick this up next time your at Disneyland/World or snag it online HERE while it's still in stock. It has my high recommendation.